FindItMore | Defining what are the 10 must-see attractions in India is extremely difficult: few countries boast such a wealth of history, monuments, temples and nature. But if you really have to make a choice for your trip to India , here are the top 10 destinations not to be missed. Symbol of eternal love, the mausoleum of the Taj Mahal was built in Agra by Emperor Shah Jahan in memory of Mumtaz Mahal, his beloved wife. Declared a UNESCO World Heritage Site, the Taj Mahal is one of the new Seven Wonders of the World . As you can well understand: it is absolutely unmissable! Udaipur, better known as the Venice of the East , is considered the most romantic destinations not only in Rajasthan but all over the India. The numerous lakes that surround it and the luxurious palaces of the Rajput era, offer beautiful views. The most famous building in Udaipur is the Lake Pichola, the ancient summer residence of the Indian emperors, today a luxurious 5-star hotel. Harmandir Sahib is the most important temple of the Sikh state and second only to the Taj Mahal. Every year the Golden Temple attracts thousands of pilgrims from all over India, eager to visit and make donations. Come and watch it in the evening, when the lights that illuminate it reflect its image on the water and the gold that covers it stands out. If you go to Varanasi you will not be able to feel yourself overwhelmed by the mystical aura that permeates the city. Considered by the Hindus the point of access for the divine world, it is a symbol of life and death. Every day thousands of pilgrims pour out among the banks of the River Ganges to purify themselves from the sins committed. It is not uncommon to see funeral ceremonies, during which the bodies of the loved ones are cremated and the ashes scattered among the waters of the Ganges. Unique in the world, the caves of Ajanta date back to 300 BC Despite their millennial history, the paintings and sculptures are perfectly preserved. Digged entirely in the hill, to access it you will have to pass by the town of Aurangabad, which is not far from the caves of Ellora, also beautiful motorcycles. Delhi, the capital of India, captivates thanks to the strong contrast between the old city and the new city, New Delhi . Chaotic, noisy, stressful at first, Delhi leaves you confused with all its energy. But discover it thoroughly because here you can find beautiful mosques, monuments, forts, palaces from the colonial era, museums. Jaisalmer is nicknamed the Golden City thanks to the sandy color of its houses that recall that of the Thar desert that surrounds it. A beautiful fortress dominates the city: inside there are the palaces of ancient merchants and finely sculpted temples that give a legendary aura to the city. 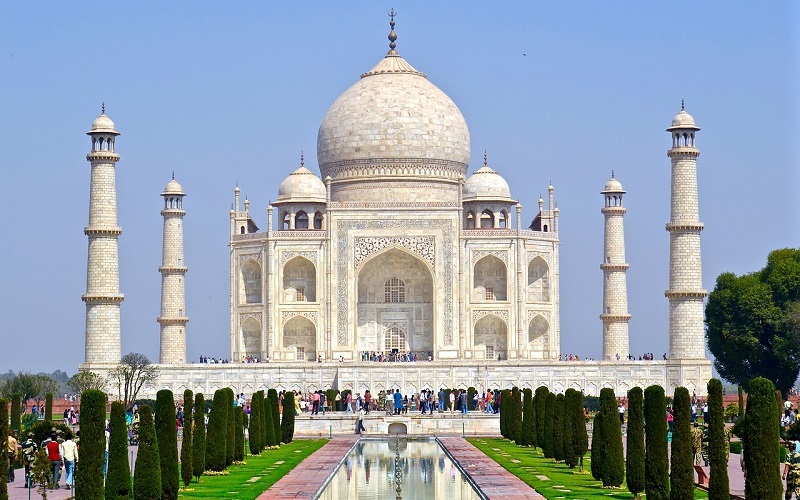 Absolutely a must-see stop from your trip to India! The state of Kerala is famous above all for its backwaters , a network of lakes, waterfalls and rivers that make it the ideal destination for a river cruise. Let yourself be enchanted by the lush green jungle that grows along the banks, interspersed with small villages of peasants and fishermen: you really feel like you have entered the world of Sandokan! At an altitude of 2200m, the slopes of Darjeeling produce one of the best tea qualities in the world. To come to this part of India, however, is not only a way to admire the green plantations, but also to get in touch with the mountain populations of India that differ greatly from other ethnic groups. Much closer to the communities of Nepal and Tibet, it is not uncommon to meet Buddhist monks dressed in red. The smallest state of India, offers the most beautiful sea in the country: golden beaches, romantic sunsets, crystal clear waters. Goa is the perfect place to relax after a long journey. Here you can also practice many water sports, such as parasailing, windsurfing or water skiing.